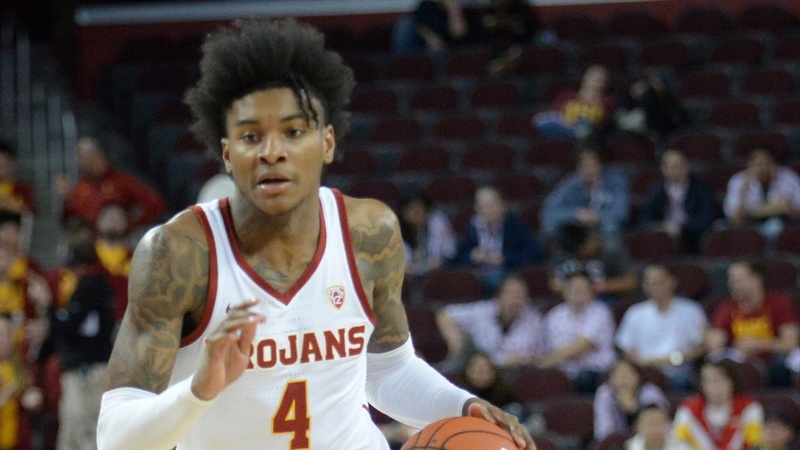 LOS ANGELES - Coming off a disappointing loss to Utah, USC (13-11,6-5) dropped their 2nd straight home game to the Colorado Buffaloes (14-9,5-6), 69-65.. Though the Trojans fought throughout, they were never able to separate themselves and were ultimately out-executed by the Buffs. The win was the first time the Buffaloes had beaten the Trojans since their 98-94 win in triple-overtime at the Galen Center in 2015. Down the stretch, USC made two costly mistakes on defense that resulted in back-to-back layups for Colorado’s McKinley Wright. The wide open threes Enfield mentioned were missed 3-point attempts from guard Derryck Thornton and forward Shaqquan Aaron in the final two minutes. With the Trojans trailing 65-67, they both got good looks from beyond-the-arc but were unable to capitalize on the opportunities. Up until that crucial juncture in the game, senior Bennie Boatwright carried the Trojans offensively in the 2nd half. The Pac-12’s 5th leading scorer had 17 of his 24 points in the 2nd period, including 2 threes. Helping him carry the load was Shaqquan Aaron, who had 13 points on 5/10 shooting. Unfortunately, USC could not find a 3rd scorer to complement them all night. The sharpshooting Jonah Mathews went 0/3 from 3-point land and center Nick Rakocevic, who is always crucial to the Trojans’ success, had just 8 points on the night. He was visibly frustrated throughout the game. For Colorado, McKinley Wright stole the show late in the game but it was a team effort throughout. Four Buffaloes reached double figures and they got a strong game from freshman Evan Battey, who came off the bench and scores 14 points and corralled 6 rebounds. The burly 6’8 forward, who is listed at 264 pounds, received high praise from his coach after the game. After Saturday night’s loss, the Trojans’ already slim chances of receiving an at-large bid for the NCAA tournament were dashed. USC plays 5 of their final 7 games of the season on the road, including a trip to Palo Alto to play the Stanford Cardinal on Feb. 13.